Identity Crisis - Who am I? It was a bad moment that hot summer’s day for the new farmer. One where he about lost his religion. But he said that there was one good thing that came out of it — he heard the voice of God. You see, after that tough day God told the man that he wanted “in” on his new venture, that he wanted to help. The man experienced an epiphany out there in the field and through it all, the Holy Spirit showed him how special he was to God. After telling us his story last week at church, the successful businessman blessed us with a song. And his music brought tears to my eyes. We all have our feelings of insignificance don’t we? Oh, I know it seems that many of us struggle with an inflated sense of self. But sometimes reality strikes and, like our businessman, we feel kind of well, small. Go to the Grand Canyon and see how big you feel, get lost in the crowd at a football game or hit the mall during a Black Friday sale. You get the picture. Small right? But it’s interesting to read scripture and find out that my pastor is right. God does value each and everyone one of us so much. In fact the Bible says that he counts every hair on our head and saves up every tear we’ve ever shed in a bottle. Wow - I haven’t even done that for my own kids. I have a friend who’s going through an identity crisis right now. He says he has no goals, no sense of purpose. He’s lost his confidence and his self-esteem. And because of that, he feels like he really doesn’t know who he is. I’m pointing him to God. But you know, there are things that people have to discover for themselves for the truth to hit home. I saw my friend at church last week and I know he heard the businessman/farmer’s testimony and song. I don’t know if he cried through it like I did. But I hope it touched his heart and taught him one of the most important things he’ll ever learn. 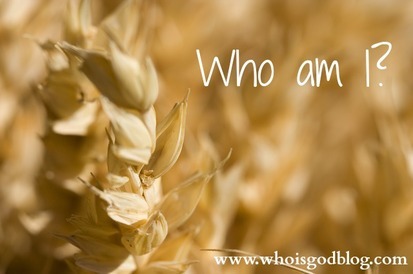 As a child of God, he’s actually got the greatest identity of all. And, if you are a Christian today — so do you. 139 O Lord, you have examined my heart and know everything about me. 2 You know when I sit or stand. When far away you know my every thought. 3 You chart the path ahead of me and tell me where to stop and rest. Every moment you know where I am. 10 so you have everything when you have Christ, and you are filled with God through your union with Christ. He is the highest Ruler, with authority over every other power.